Since 1992, ARMI has been the exclusive worldwide distributor for the Rio Tinto Alcan (Formerly Alcan) line of aluminum CRMs. These CRMs are the finest standards in the world produced for the Aluminum Industry. Their quality and homogeneity is without equal, and their certification analysis is one of the most thorough and complete in the world for a commercially produced product. ARMI carries Rio Tinto Alcan's full line of aluminum alloys, as well as high purity and binary CRMs. ARMI is the worldwide distributor for Alcan Aluminum CRMs. Rio Tinto Alcan spectrochemical standards are not derived from production material. They are produced from a direct-chill continuous casting process. Although this method of manufacture is expensive, it ensures that each continuous-cast disk exhibits excellent homogeneity. This provides reliable results for the analysis of both simple and complex aluminum alloys. Each lot undergoes extensive homogeneity testing, and every element to be certified is then analyzed using the most widely recognized methods. 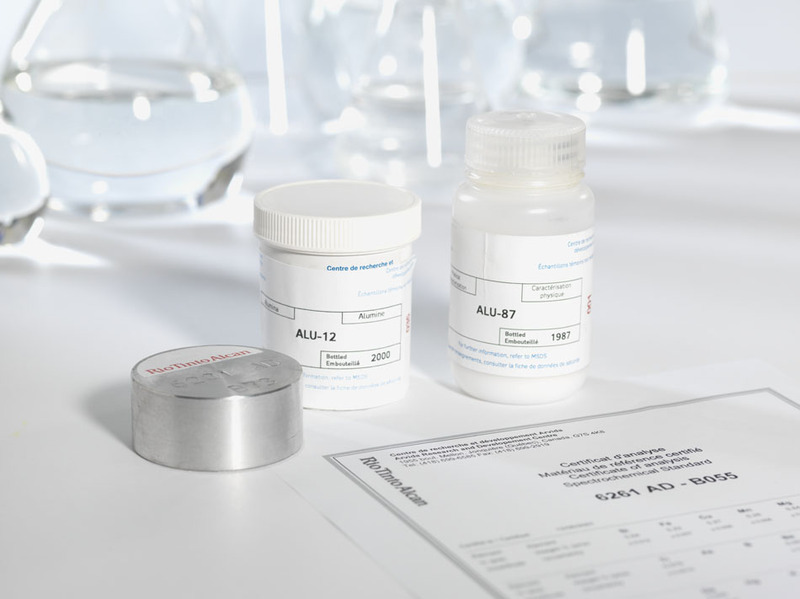 Each sample is analyzed in duplicate by two technicians using two different analytical techniques that include ICP, AA, X-Ray fluorescence, colorimetric, fluorimetric, and titrimetric methods. The individual values reported are statistically evaluated, and the mean values are compared to the results obtained by Optical Emission Spectrometry. Finally, the check samples are circulated among other Rio Tinto Alcan laboratories for verification. These laboratories perform their own chemical analysis and report their results to the Arvida Research Center. Worldwide comparison analysis involving top specialists in the field ensures high confidence in the values obtained. Need a Certificate of Analysis for a specific product ?